Join our Education Staff as they assist your troop or pack in fulfilling the requirements for official Scout Badges! Each workshop session covers a STEM-related badge PLUS enjoy time in the Harsco Science Center at no additional cost. 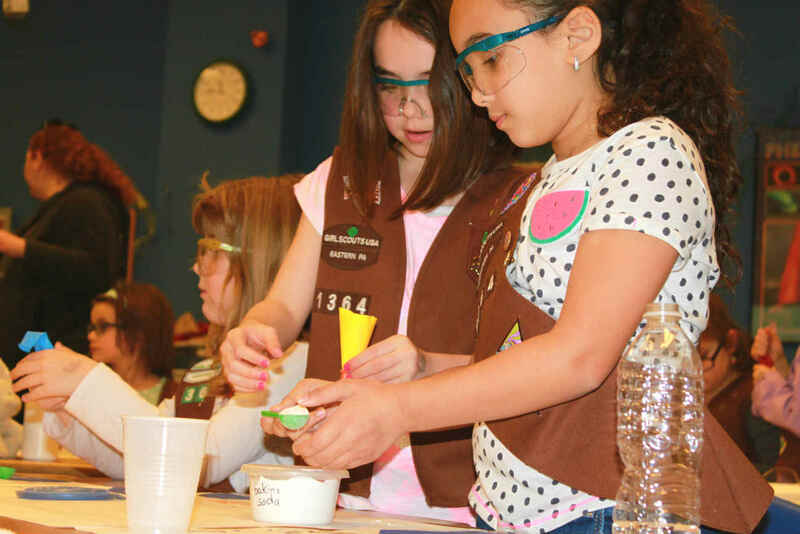 Our workshops are a great troop activity that help your troop or pack earn a badge while working together as a team! Fall 2018/spring 2019 scout badge workshops have concluded. Check back soon for fall 2019/spring 2020 dates and topics! Want to be the first to know when this information is available? Sign up here.